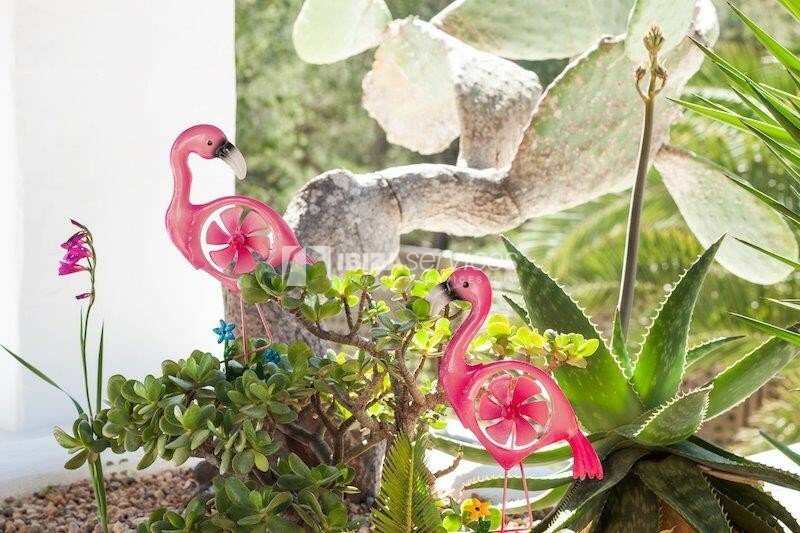 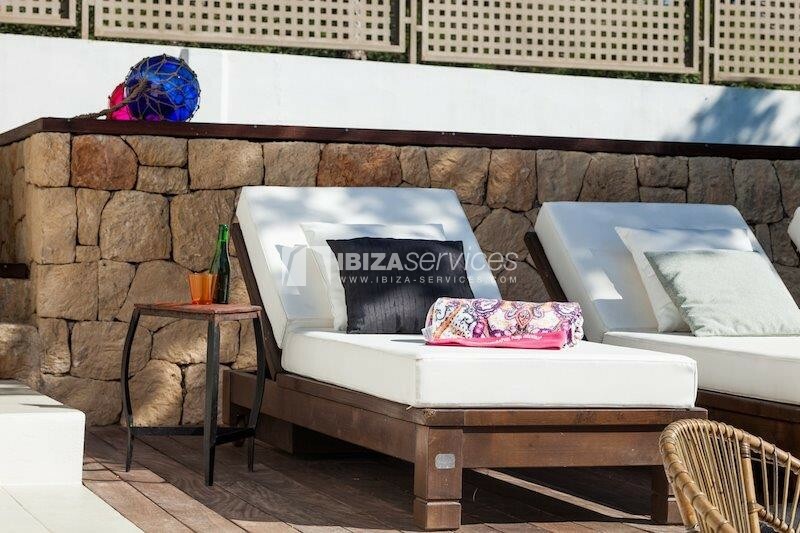 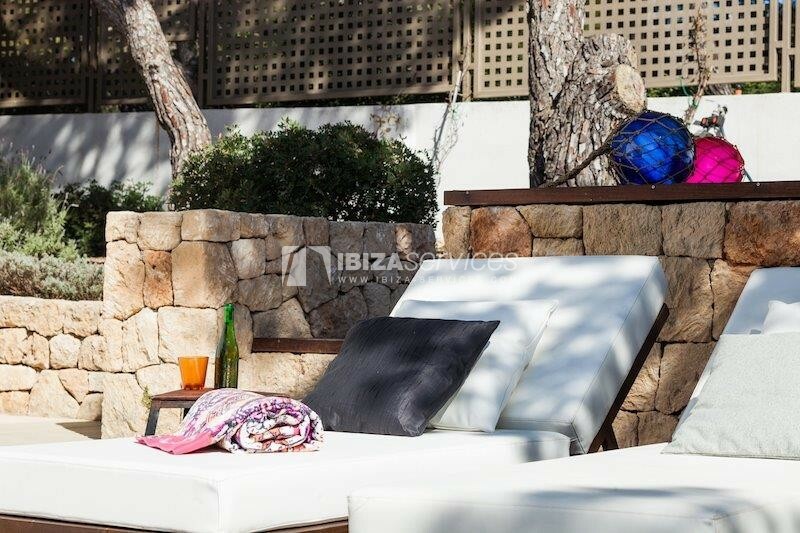 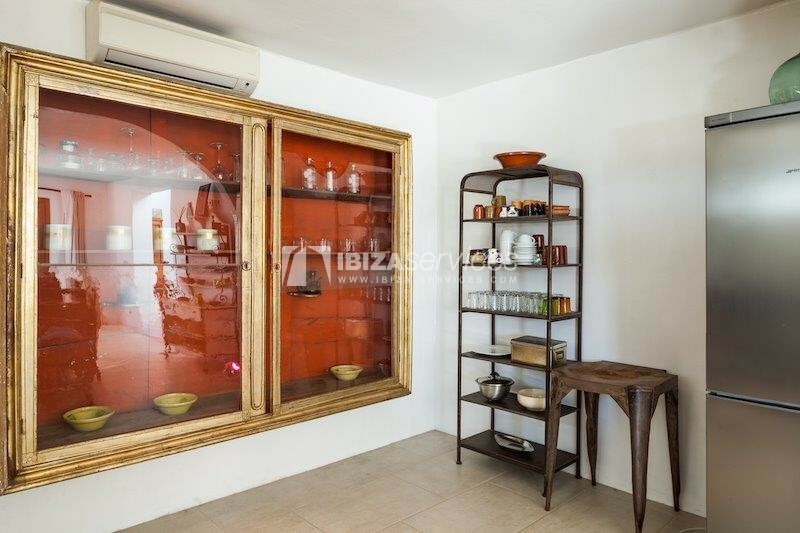 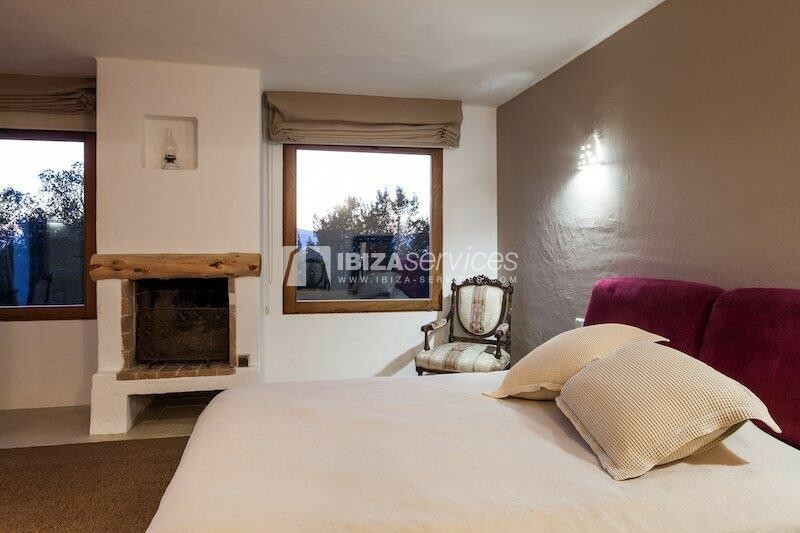 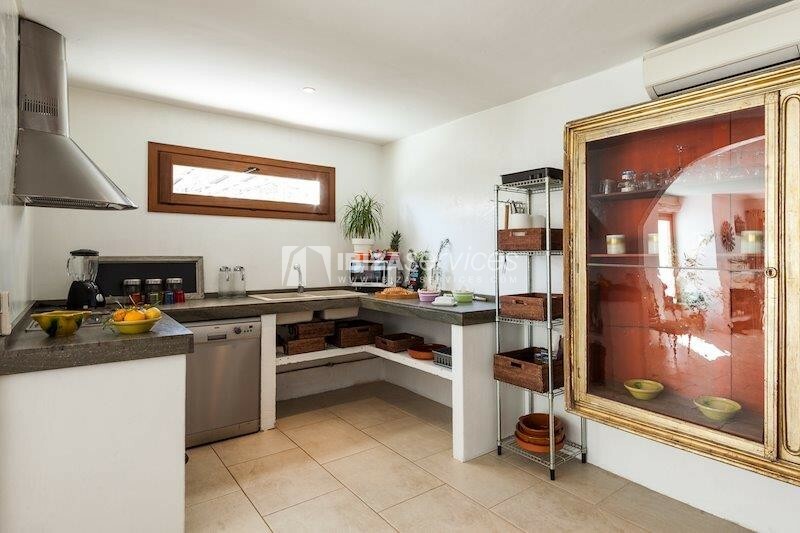 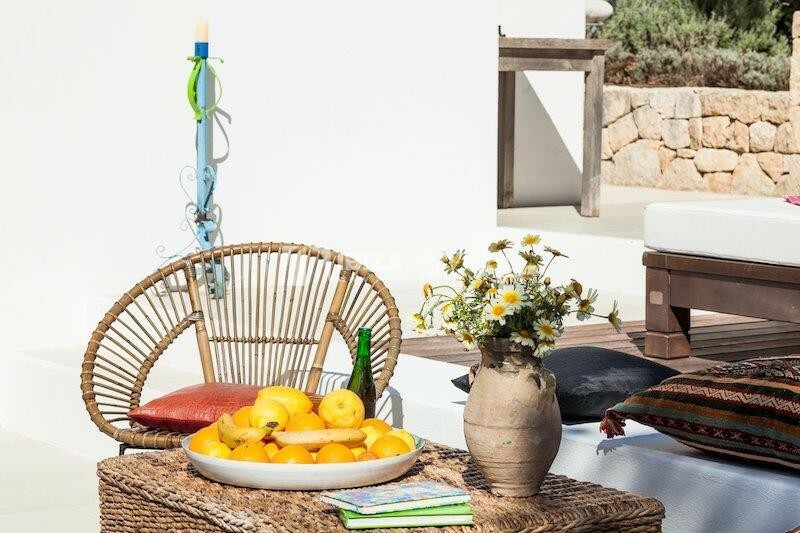 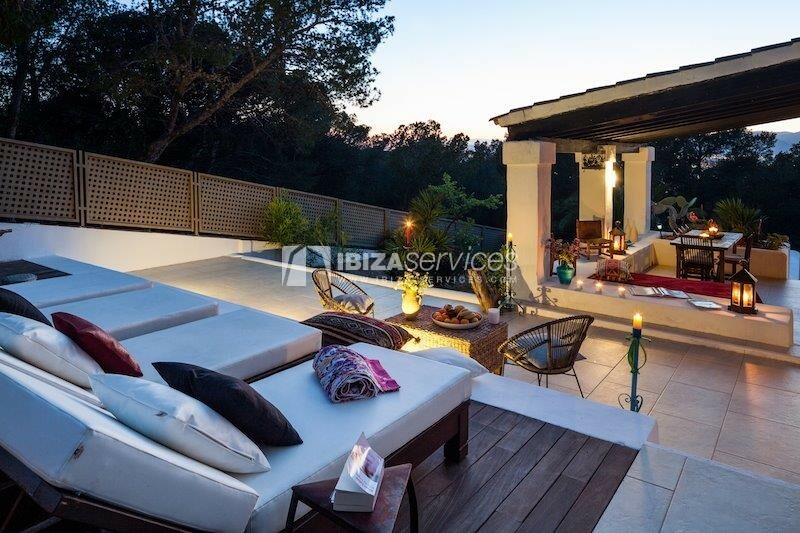 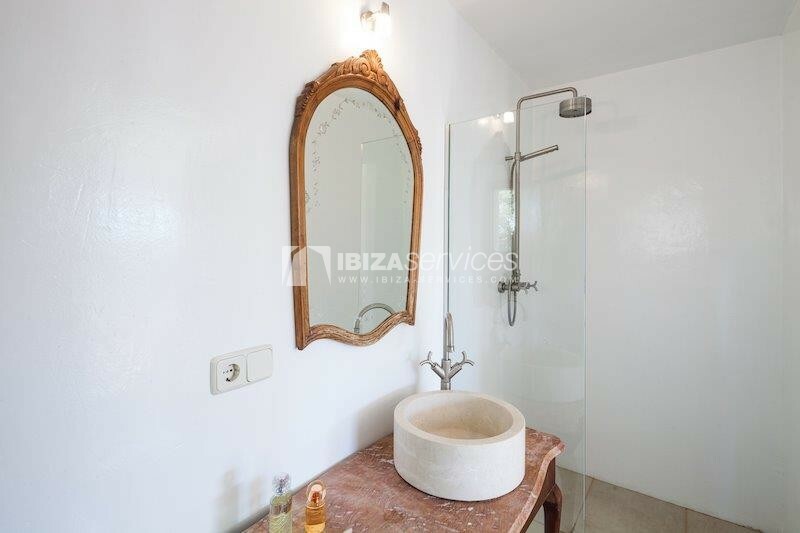 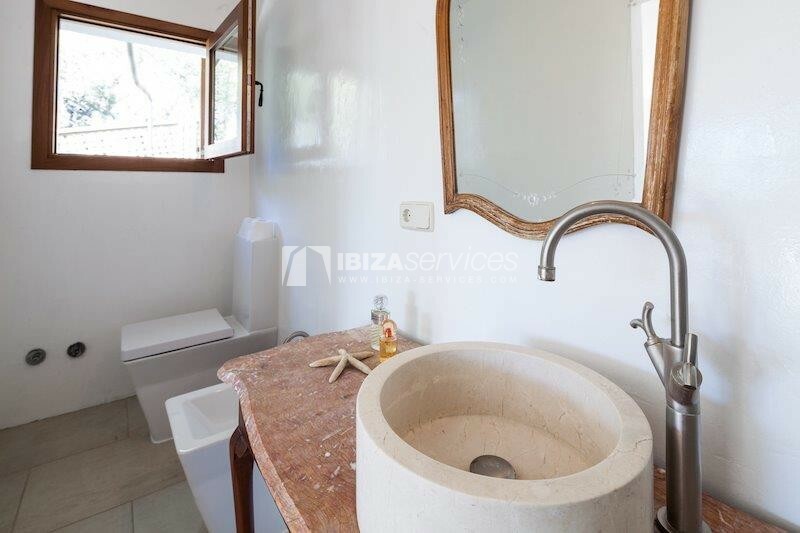 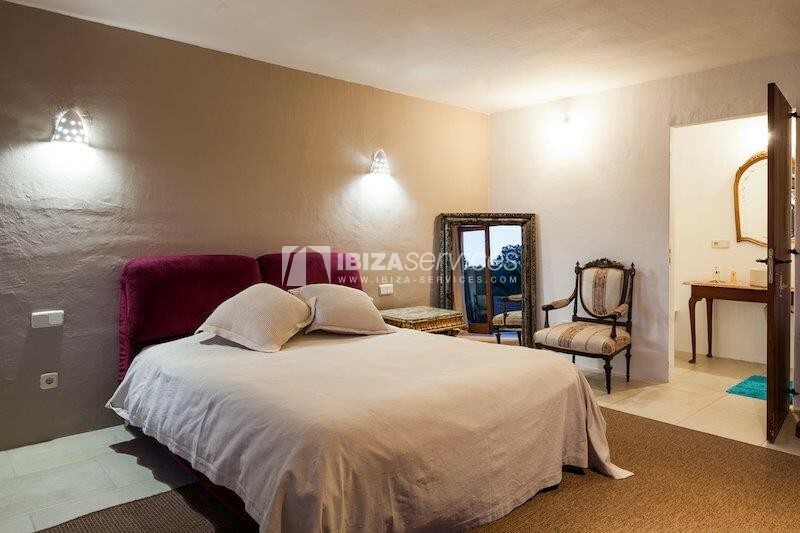 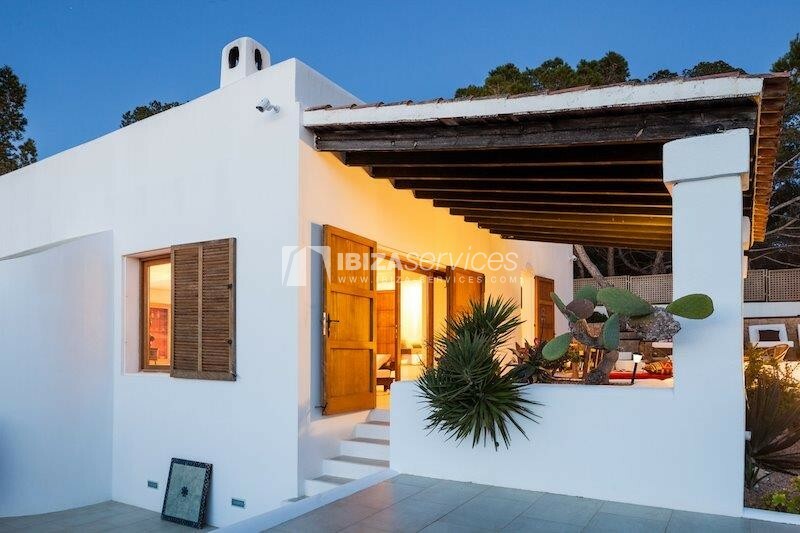 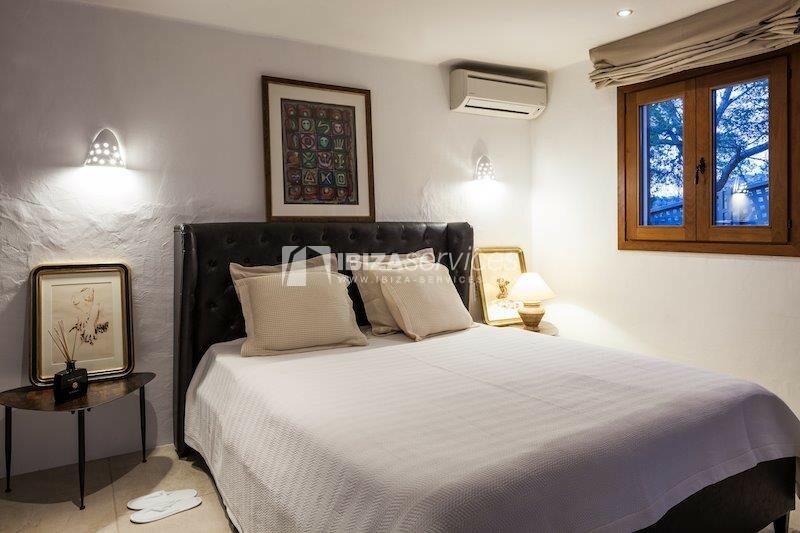 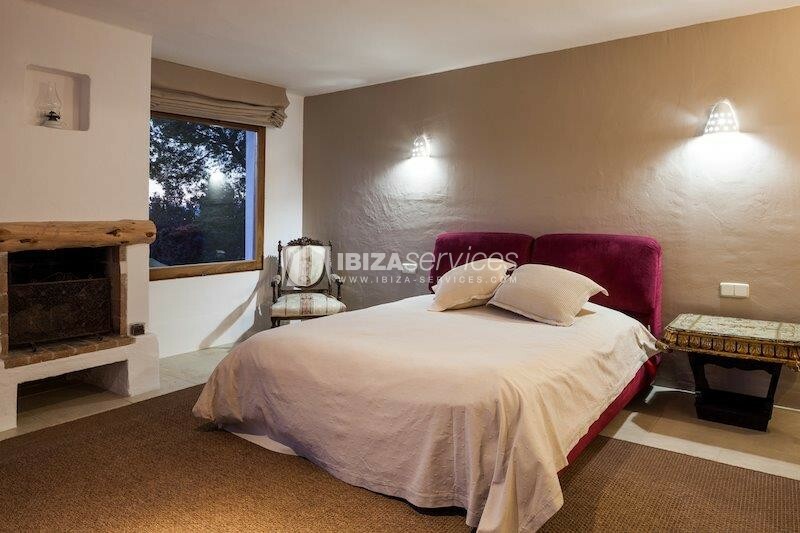 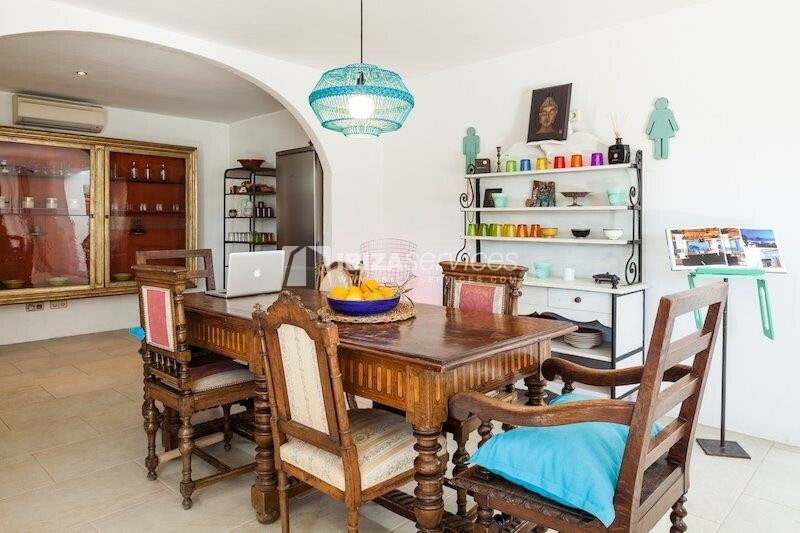 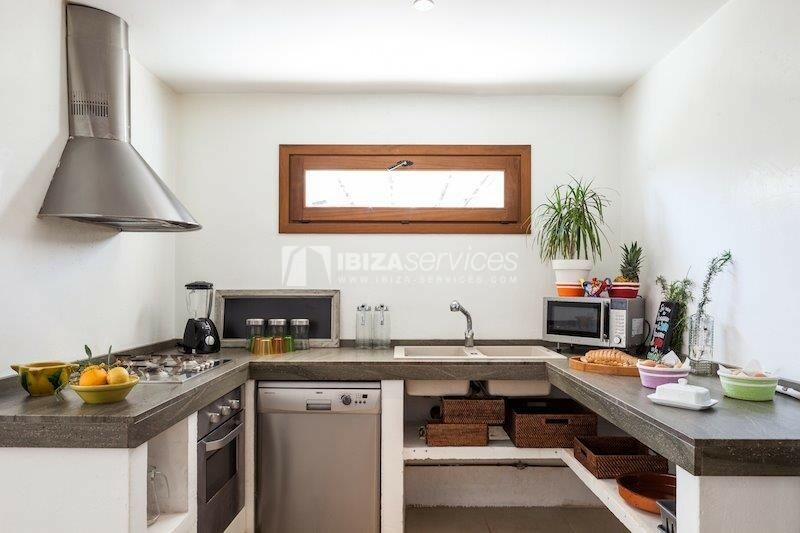 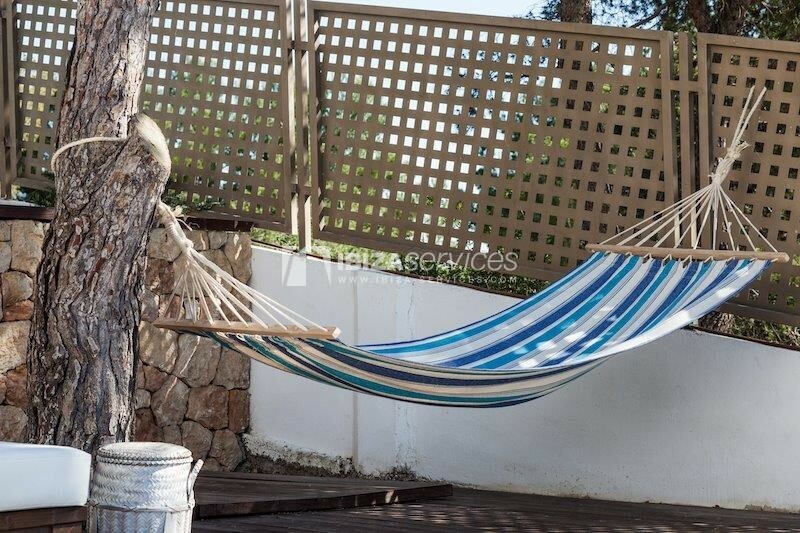 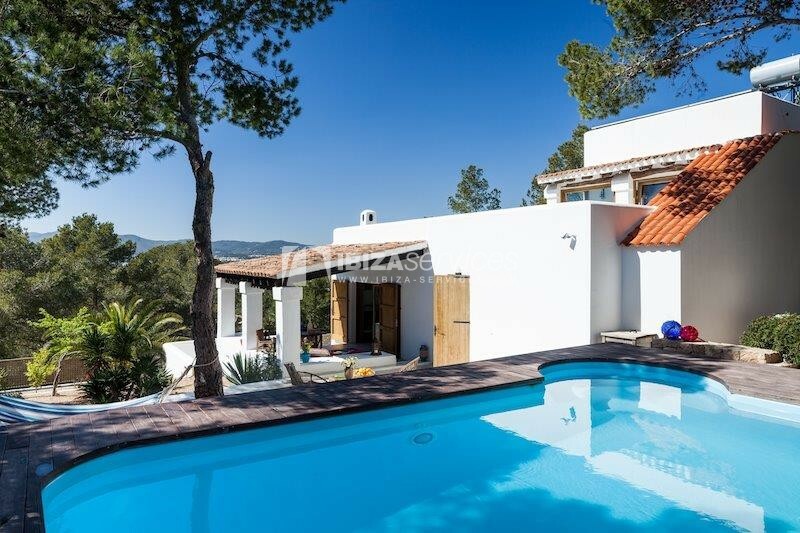 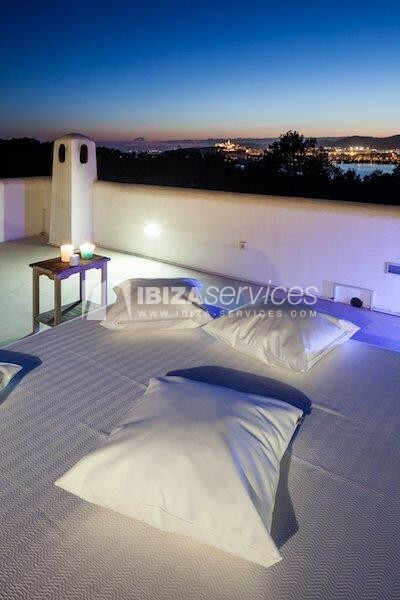 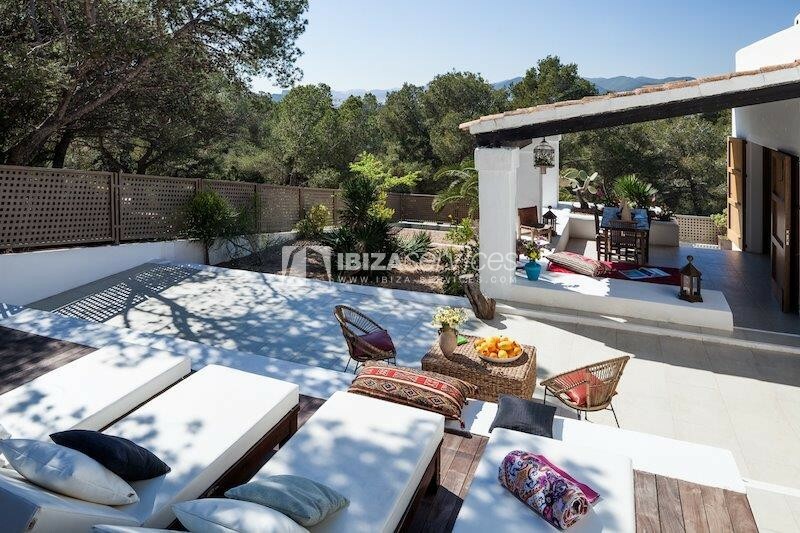 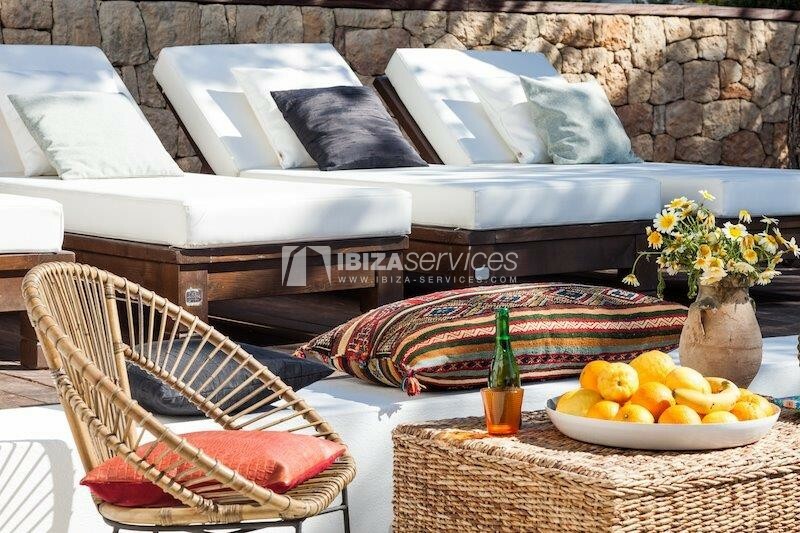 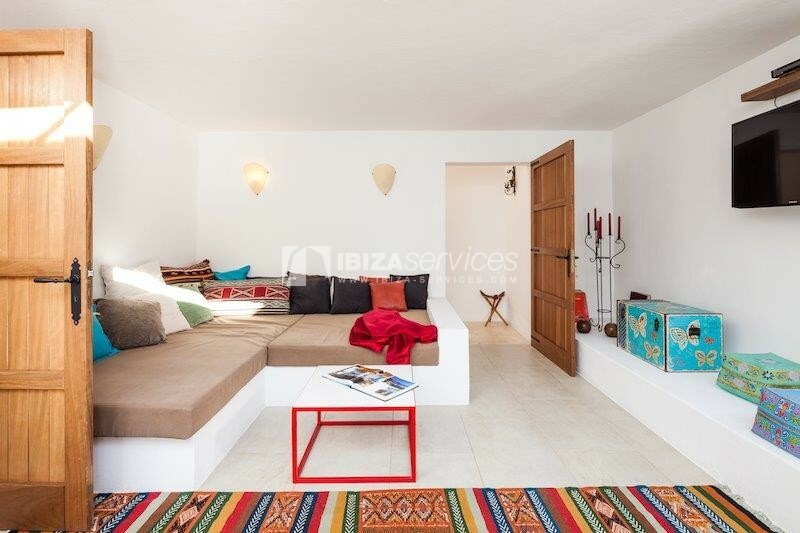 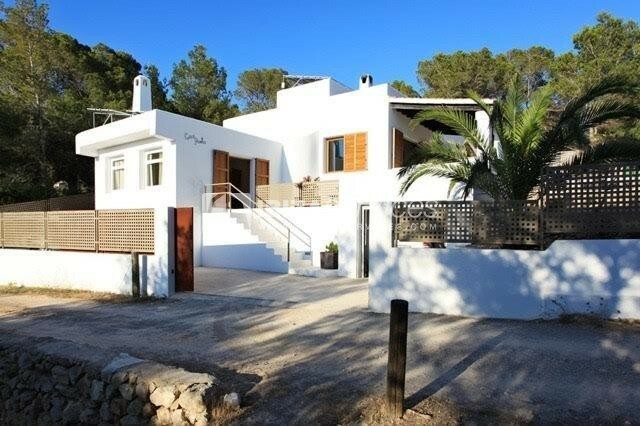 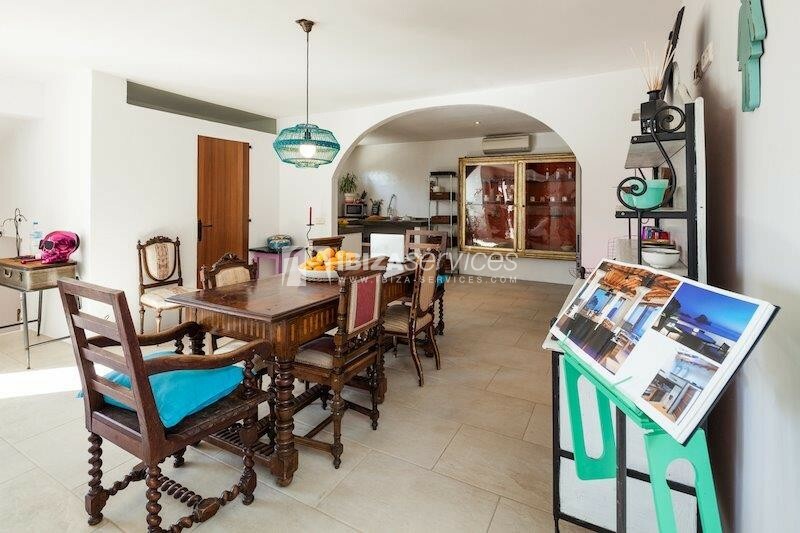 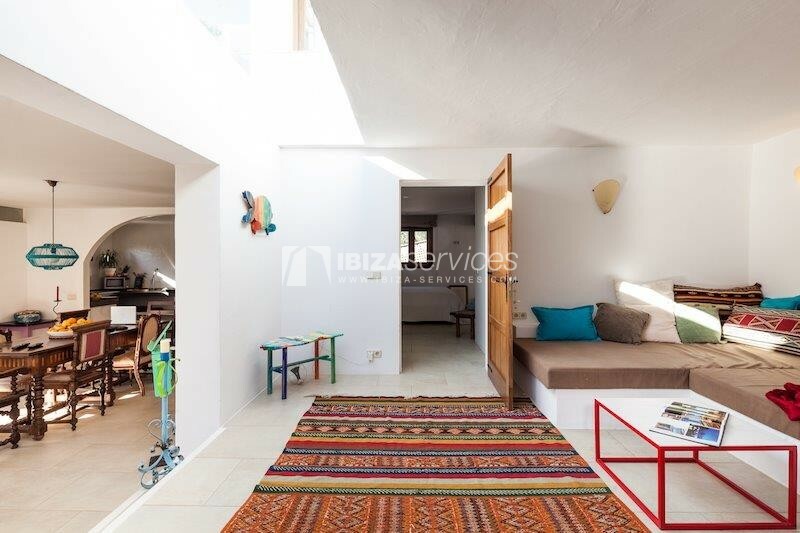 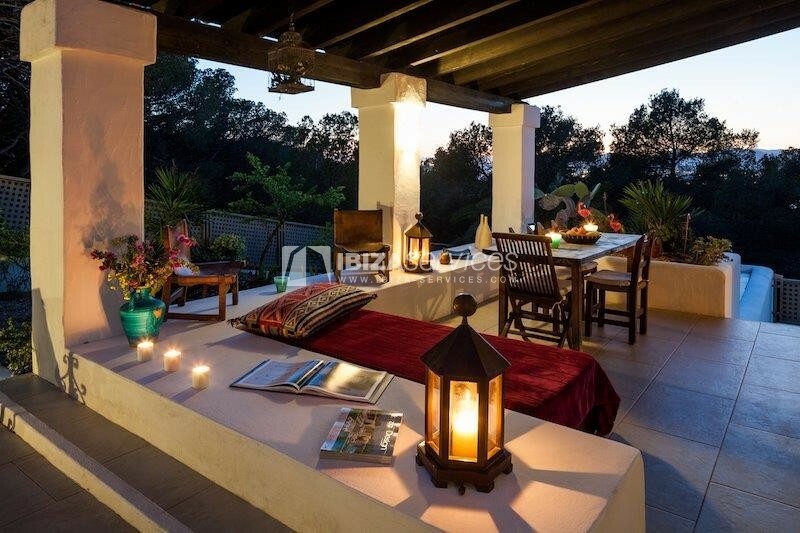 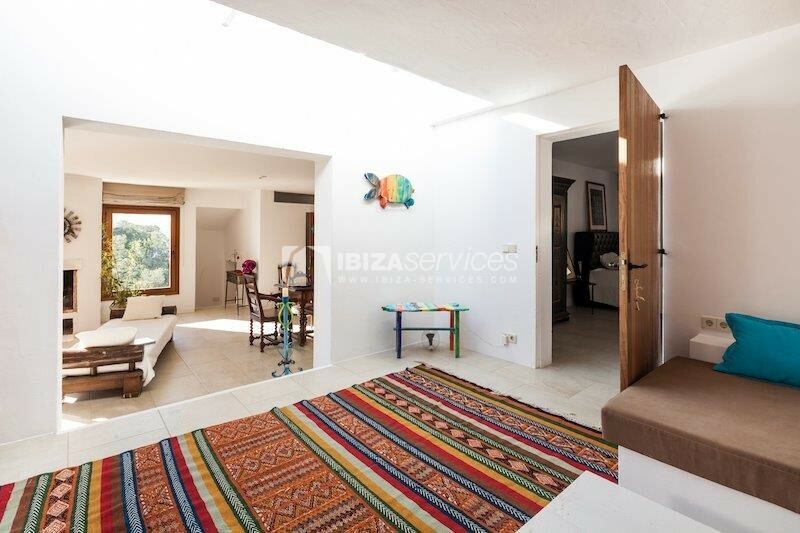 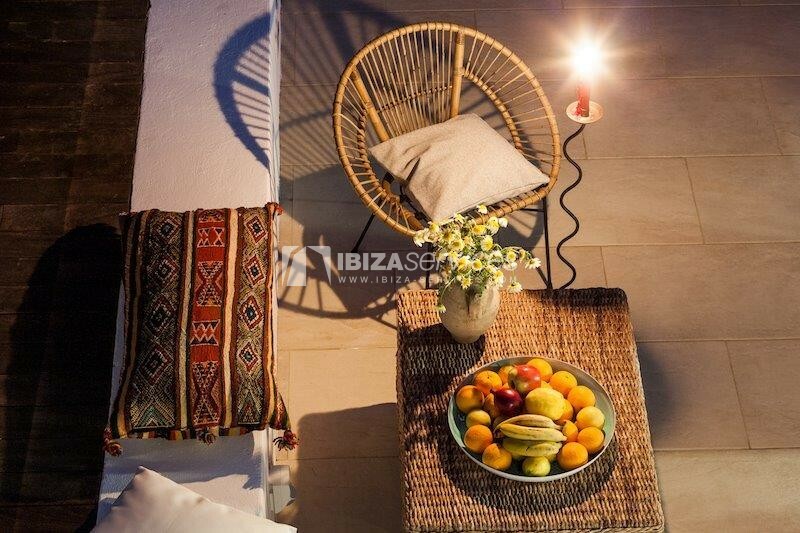 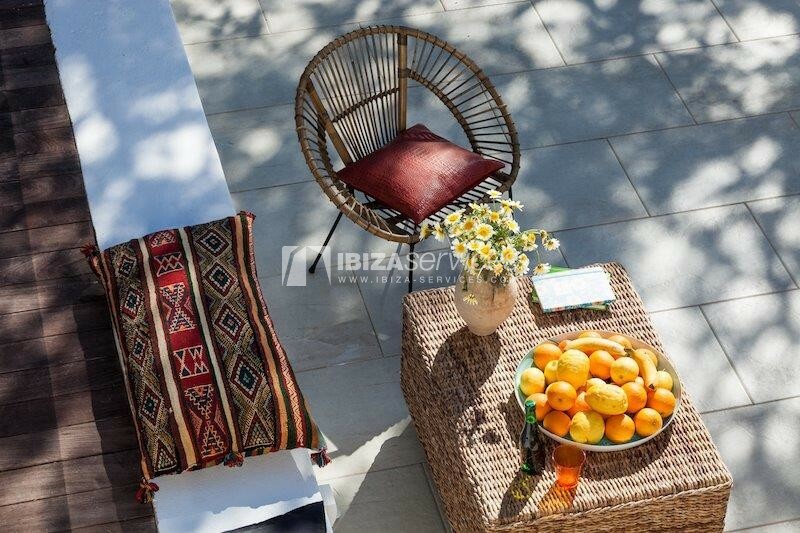 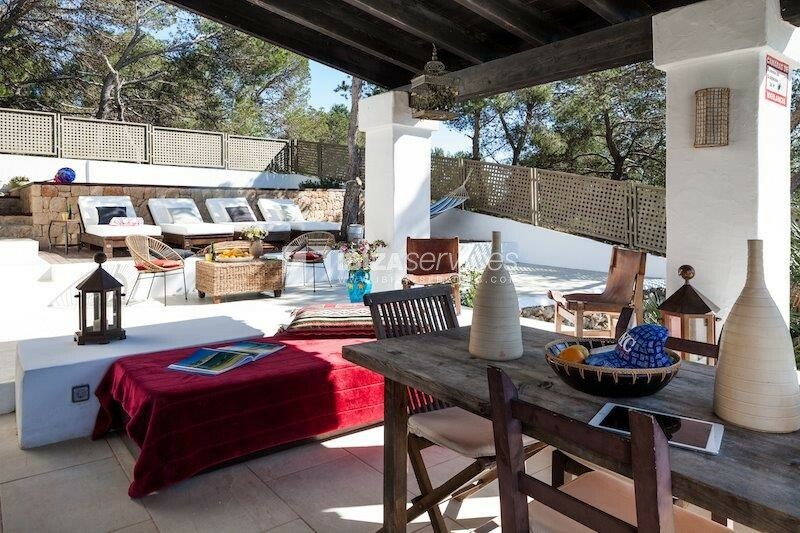 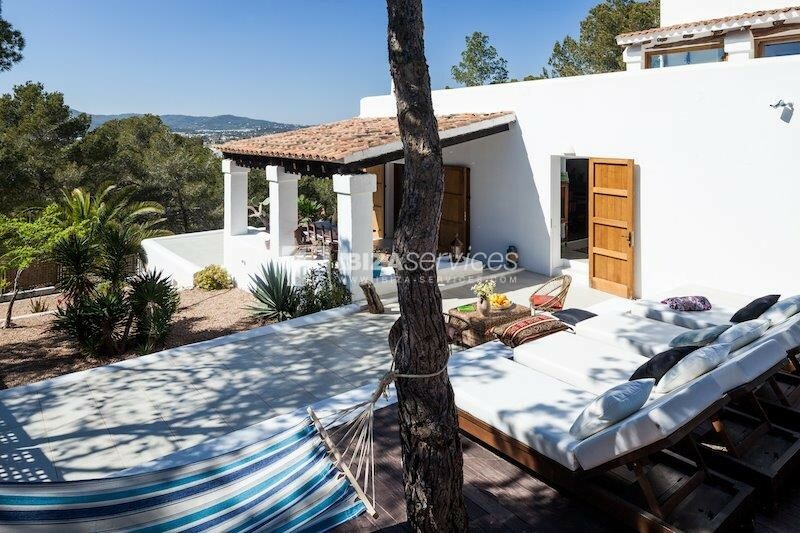 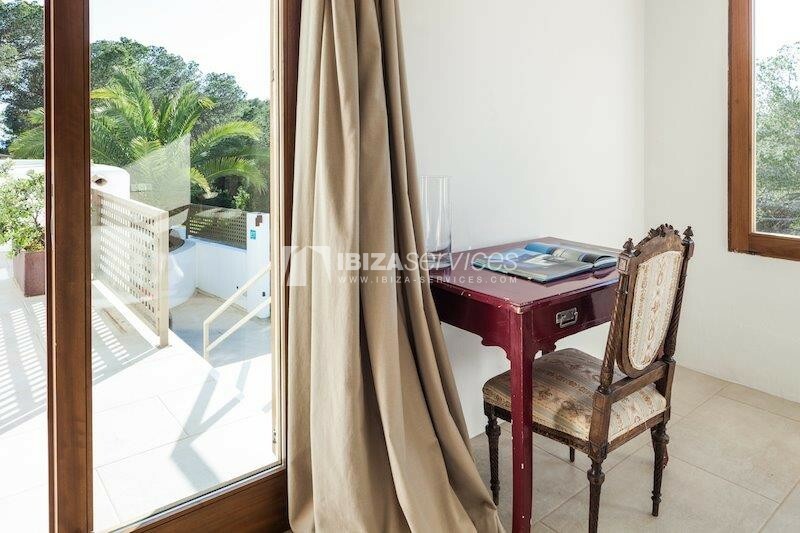 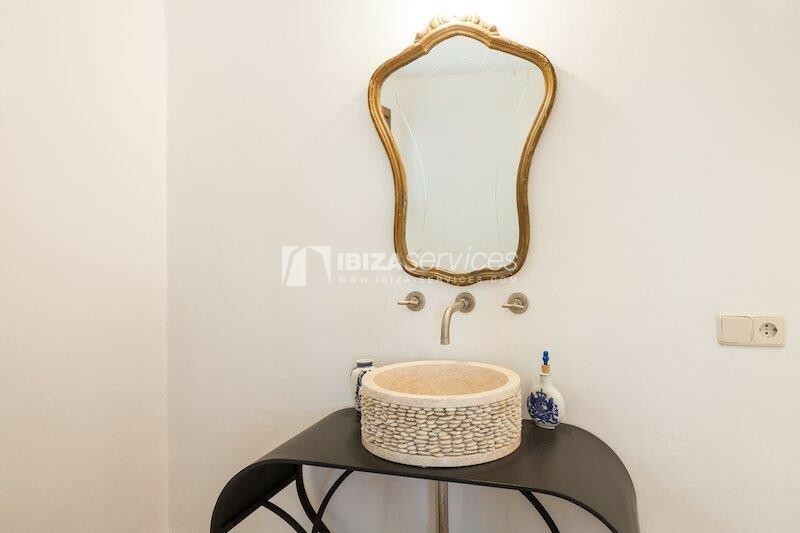 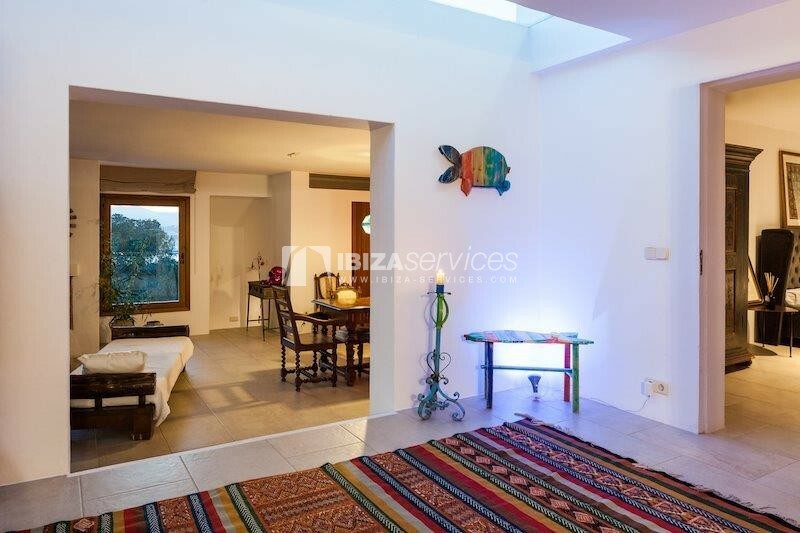 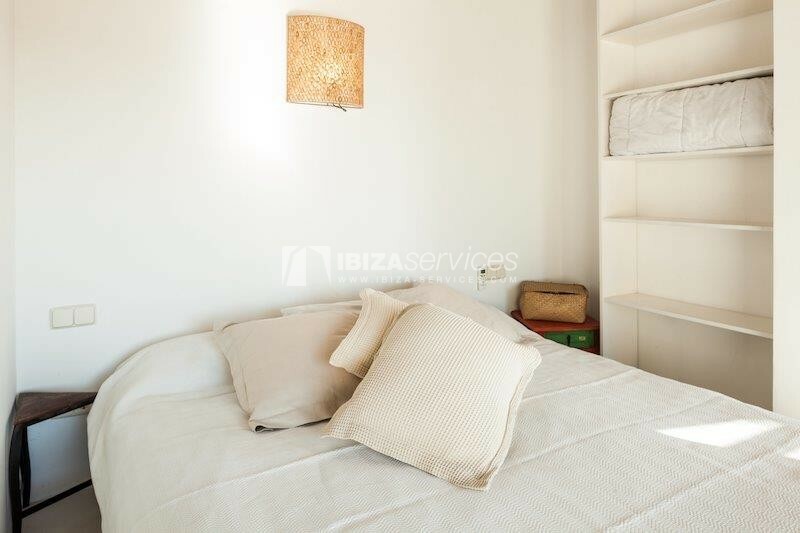 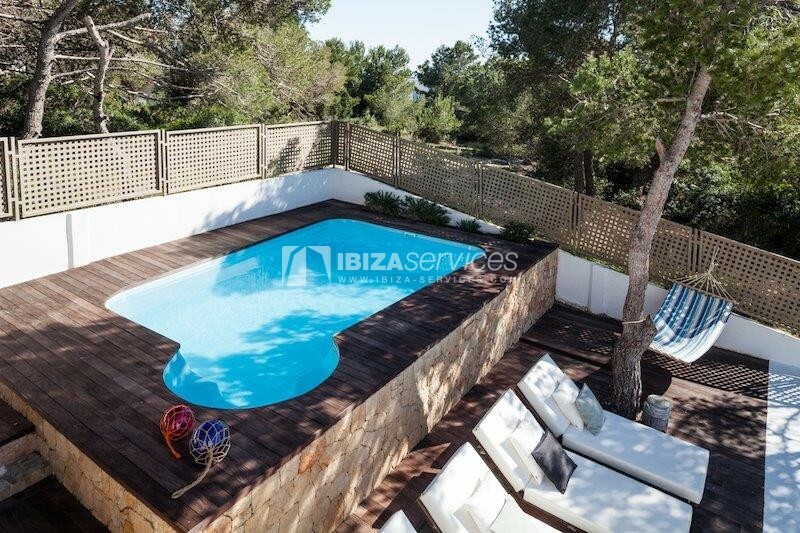 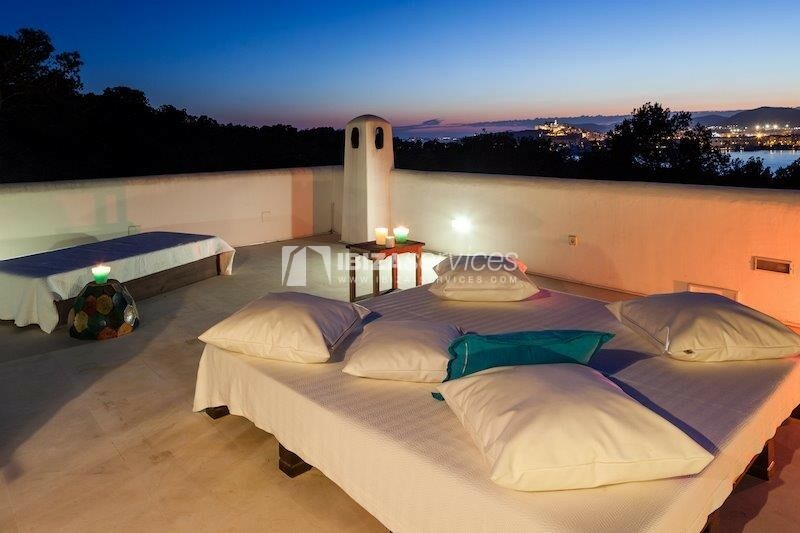 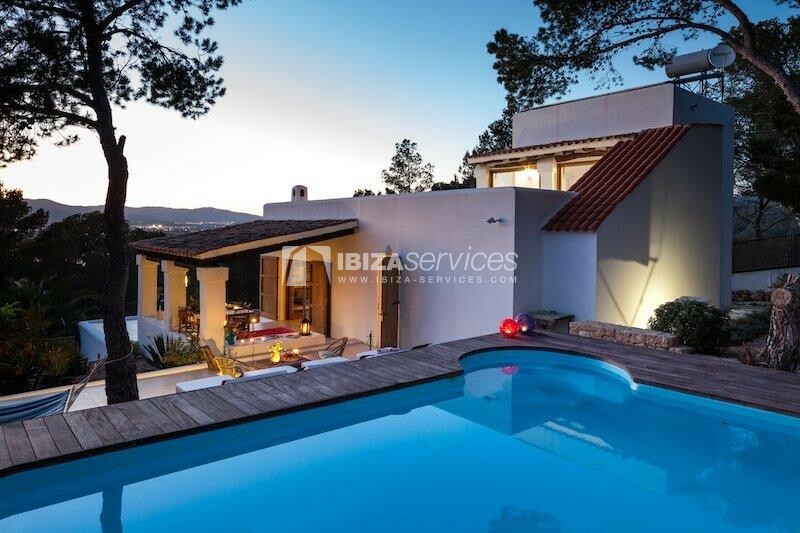 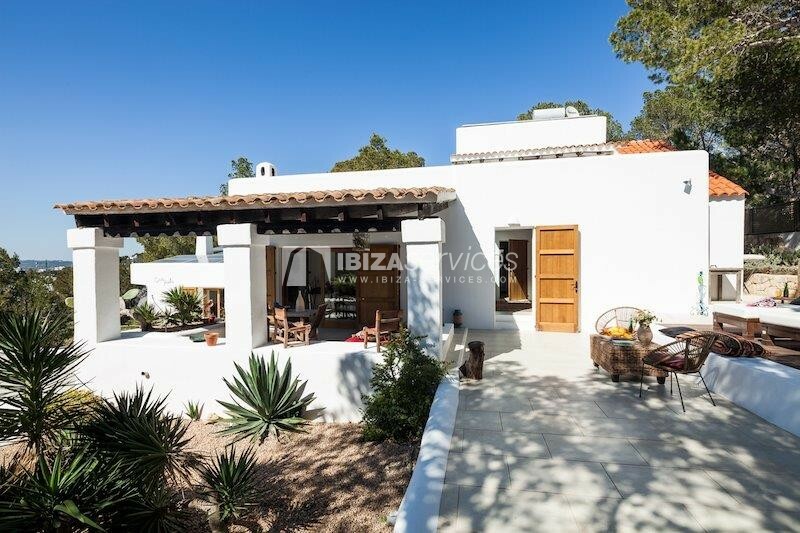 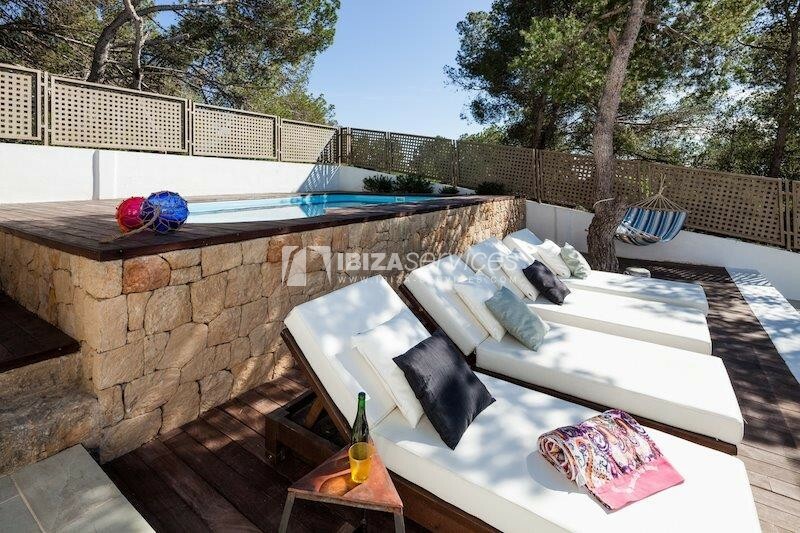 Reformed house tastefully situated in a natural park, with private access, walk distance to the beach, next to the hotel Destino Ibiza. 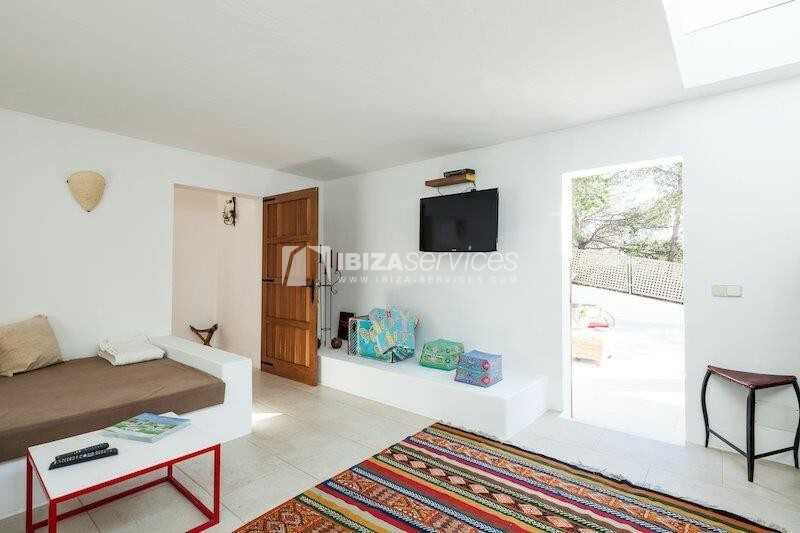 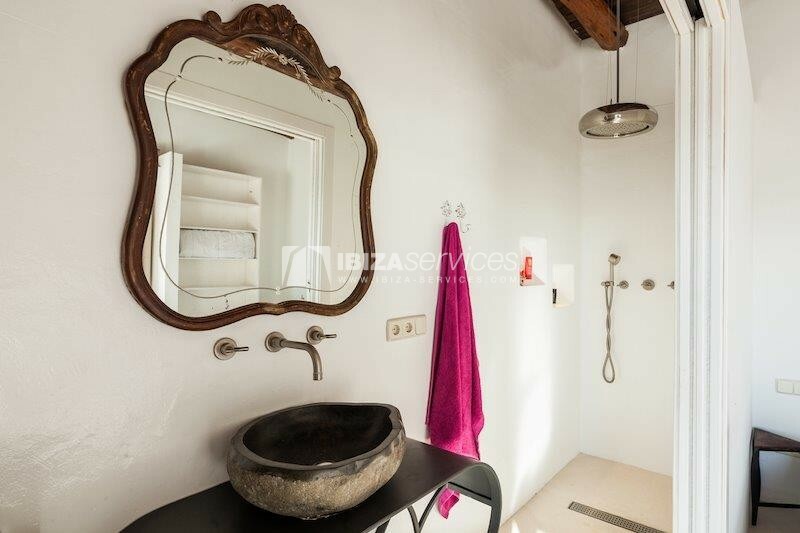 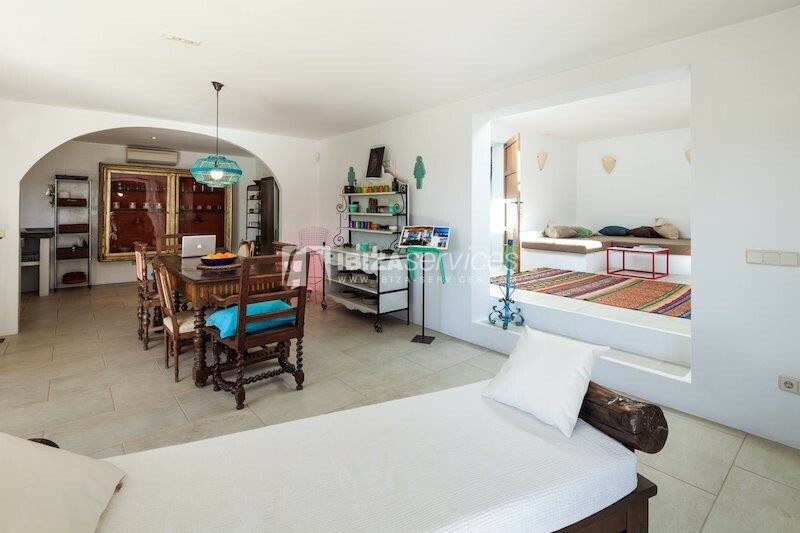 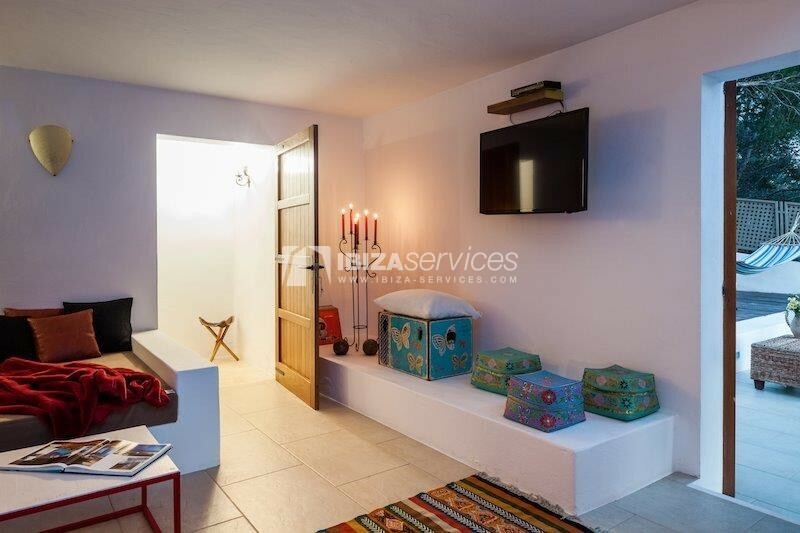 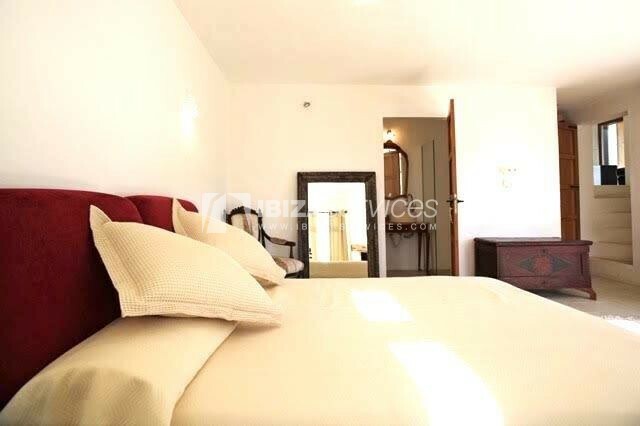 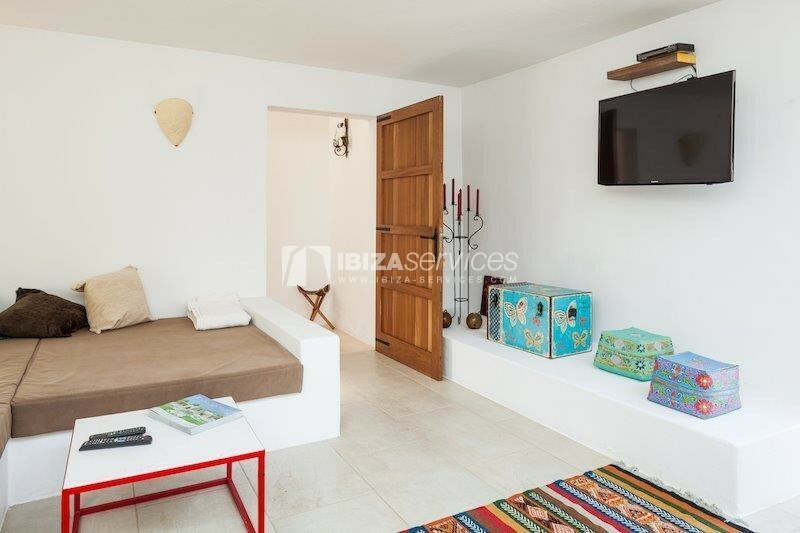 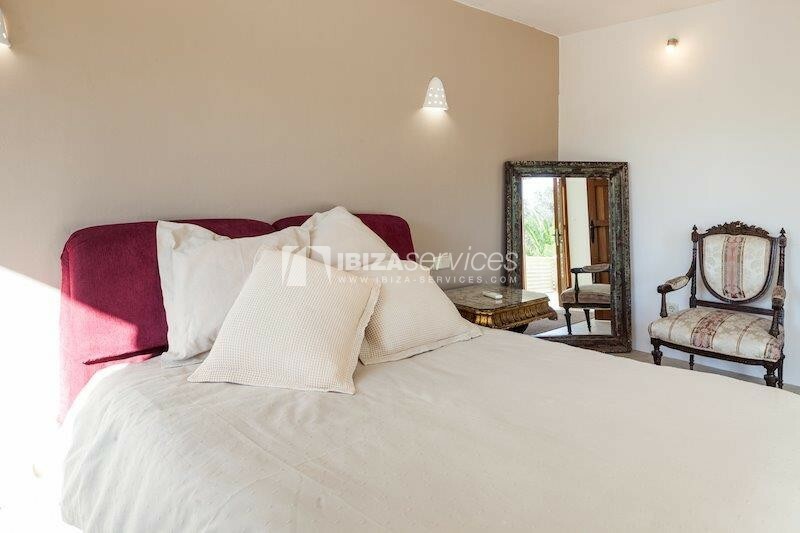 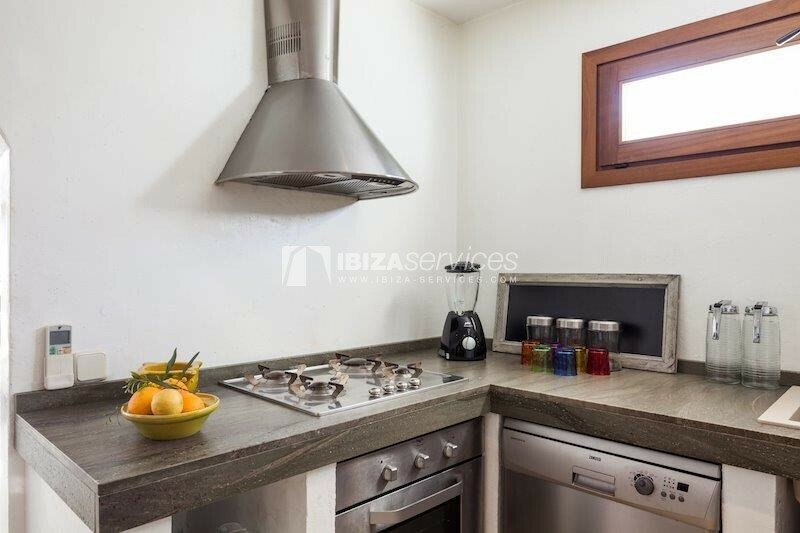 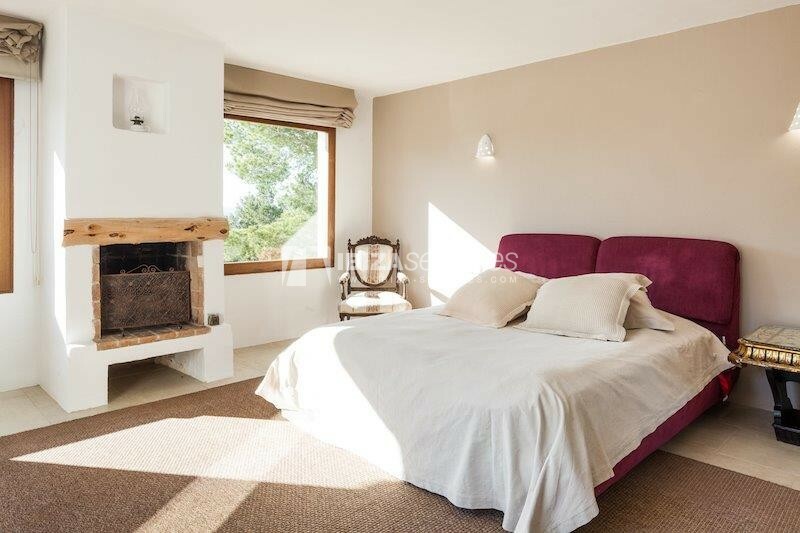 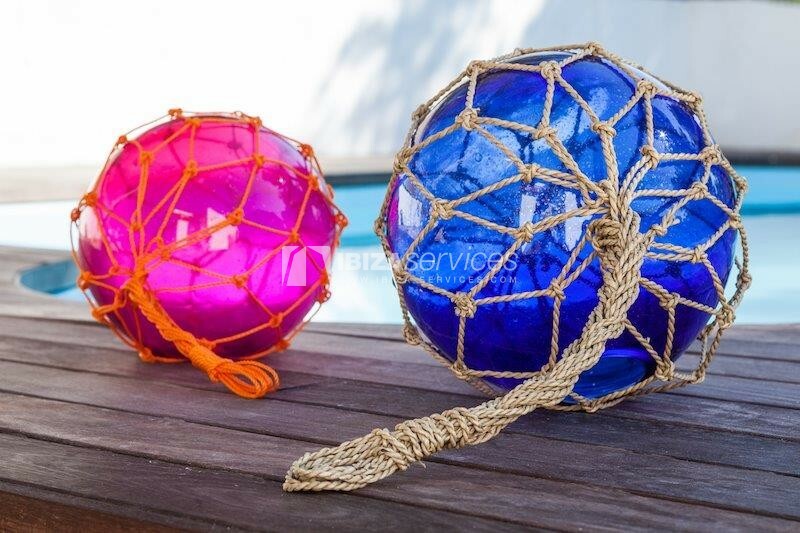 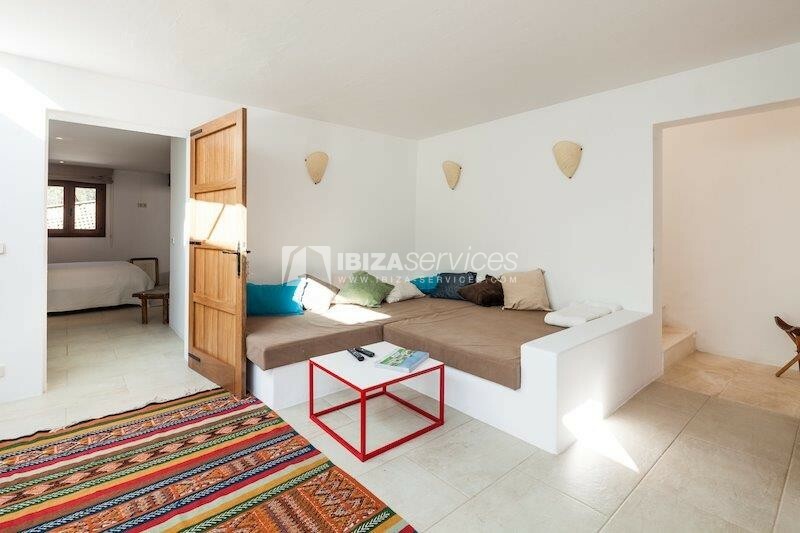 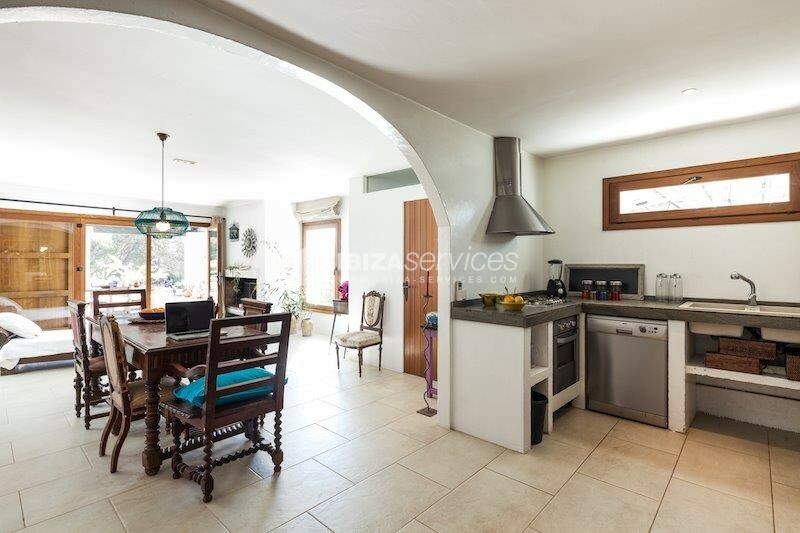 This villa comprises on the ground floor living room, open kitchen, 1 bedroom with bathroom, a separate bedroom with its own bathroom and the master suite upstairs. 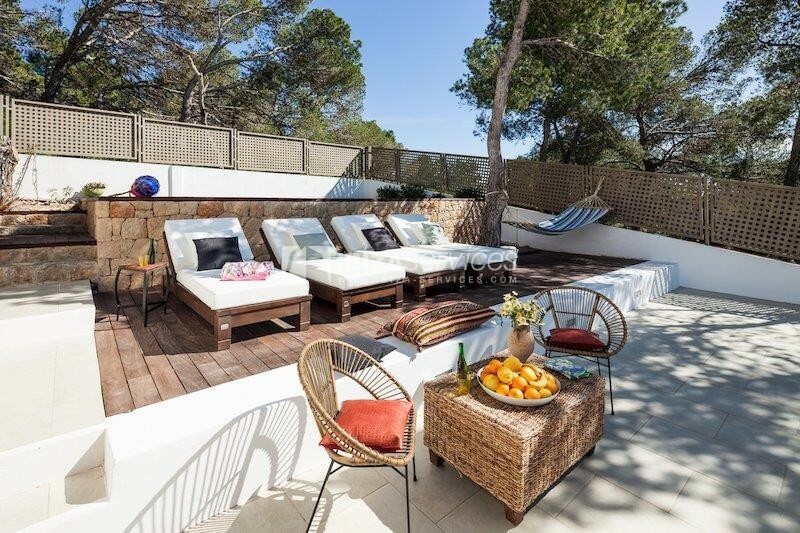 Terraces, small garden, swimming pool.